Graffiti duo from Poland known as Etam Cru creates large-scale murals able to transform dull cityscapes into a wonderland of colors and fantastic, fairytale elements. Two young muralists called Sainer and Bezt use the entire high-rise European buildings as their canvases. Their pieces are usually infused with hints of Eastern European folklore, such as mushrooms and forest creatures, even though it is known that these elements are also the important part of rave and psychedelic culture. The scenes that Etam Cru depicts are rarely static – on the contrary, they are action-packed, reminiscent of various graphic novels. Every aspect of their colorful murals seems to be in motion: animals and houses come to life and human characters gain abilities that defy the laws of physics. 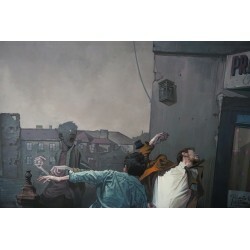 Both Sainer and Bezt have studied fine art at the art university of Lodz. 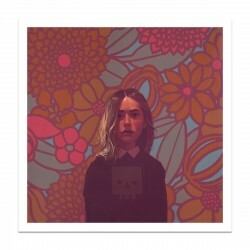 Sainer was born in 1988 and he’s a freelancer balancing between murals, graphic design illustrations, and portraits. He enjoys portraying real objects and figures in unusual contexts so that the viewer is encouraged to immerse himself into Sainer’s surreal stories and continue them on his own. 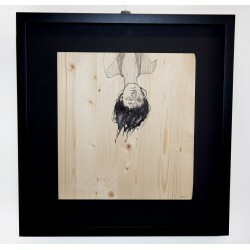 Sainer’s individual pieces can be seen throughout Europe – in Poland, Austria, Bulgaria, France, Germany, Norway,Portugal, Russia and Slovakia but also in the USA. 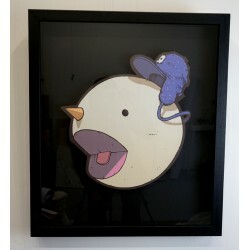 When it comes to Bezt, he was born in 1987 and got involved in the world of graffiti in 1999. A few years later he formed a group called Etam Cru, which became very active particularly around 2008 when they started painting their trademark large-scale murals. 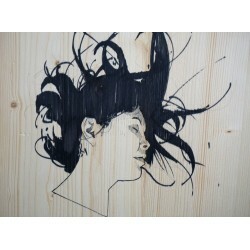 Similarly to Sainer, Bezt also connects street art techniques with more traditional oil and acrylic painting. Etam Cru impresses their worldwide audiences with their drawing skills as well as their handling of spray cans and their mastery of classical painting with acrylics and oil. 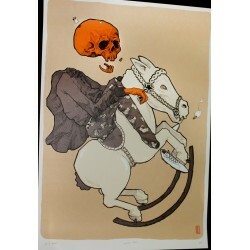 The way Sainer and Bezt unite pop-cultural with realistic imagery results in a deeply surreal, fantastic ambiance. Sainer and Bezt make efforts in order to combine their styles and make them blend perfectly, which yields really interesting results. Bezt is the one specializing in frescoes, while Sainer enjoys mural painting more than canvas-based works. He prefers concentrating on large pieces which are complex and take more time and energy to create, compared with typical paintings and drawings. Even through their street art didn’t win unanimous support straight away, the creativity of Etam Cru became supported by the Polish government. They recognized its cultural value and agreed on spreading it in order brighten up the dark streets of Polish cities.When asked about how they perceive their own work, Etam Cru has stated: We think everyone could find a different story behind it. It’s hard to believe that everyone reads a painting in the same way because it’s impossible. Hence, we don’t like to tell the story about a painting, it would be like closing a door for those who want to simply relax in front of a painting. In other words, Sainer and Bezt prefer to leave their art open-ended, which means their audiences can actively participate in creating meanings and reading symbols related to their colorful murals as well as canvas-based pieces. Since 2010, Polish duo has become a popular gallery exhibitor and they have had more than 15 solo and group shows which took place in 2013, 2014 and 2015. Given the extraordinary size of their imaginative murals as well as the great public reception of their work, it’s safe to say that the Polish street-art duo Etam Cru is one of the biggest things in European urban and street art. Even though the Poland-based team works primarily in Eastern Europe, they have created works all over the world, including their murals in the USA. Naturally, artworks of this size, scope, and quality take a lot of time and resources to create. As such, they represent the growing acceptance in mainstream society of street art, since they advocate a truly legitimate and worthwhile form of self-expression. 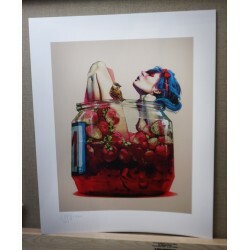 Etam Cru There are 7 products.